Before you even start remodeling your bathroom, you need to keep two things in mind – the future of your family and potential buyers of your home. Young families should place emphasis on functionality and practicality. Families with older children or no children may be able to play with trendy design elements a bit more. It's important to consider your needs before making any purchases. Family dynamics also play a role in a bathroom's design. Families with children who play a lot of sports (and likely need to shower frequently, and at odd times of the day or night) may do well with sliding shower glass doors or shower enclosures. These doors and enclosures stay silent and are less likely to disturb family members throughout the day or night. A great idea for large families is to install a toilet in a separate space from the rest of the bathroom. This allows multiple people to use the same bathroom at the same time. While this may be ideal for larger families, it can also be useful for households in which there is only one bathroom. 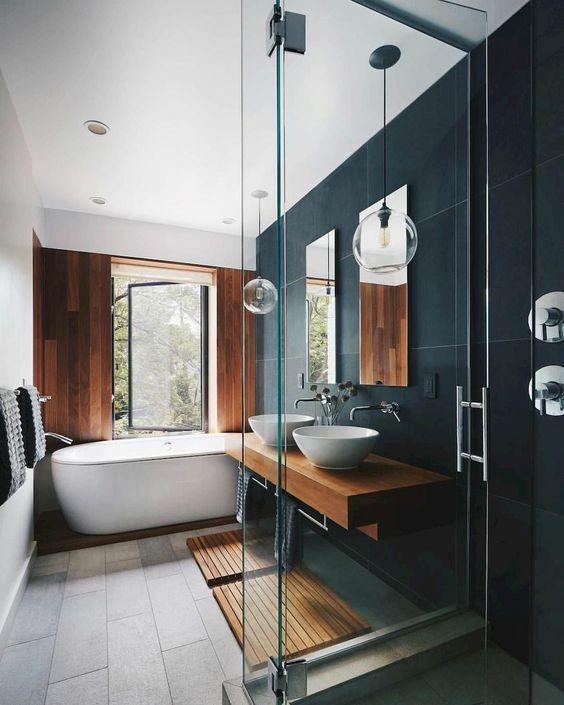 Having a toilet separate from the shower/tub and sink is a great way to optimize space. Before selecting your new bathroom faucet, consider the following factors: are you buying a new sink or using an existing one? How many holes did the old faucet have? How many holes does the new faucet have? What is your budget? 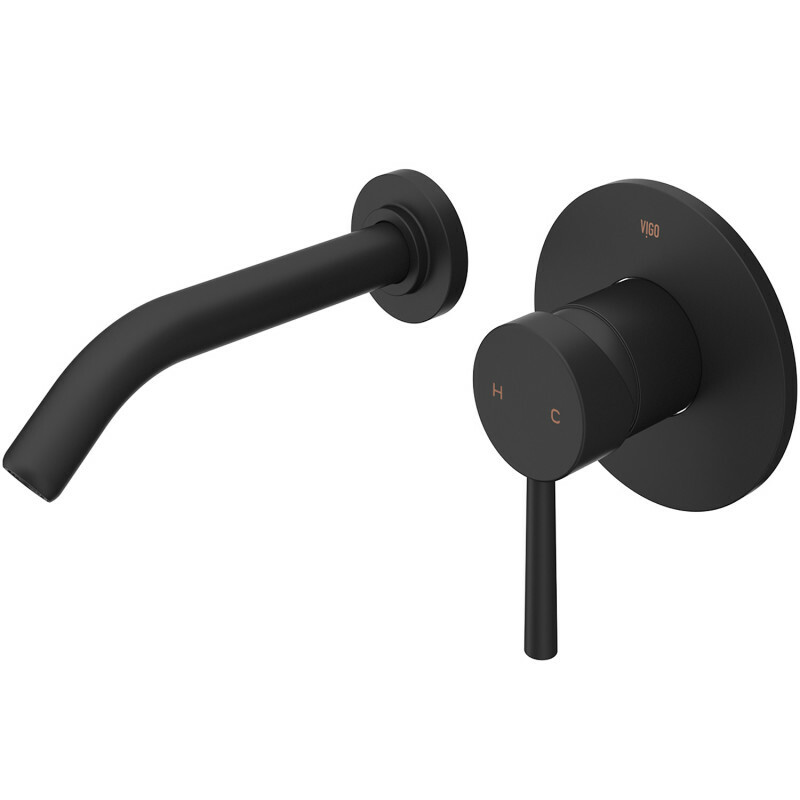 Who will be using the new faucet? What does the rest of your bathroom look like? What are your favorite finishes and do they work with your design aesthetic? All of these are important considerations you'll need to think about as you prepare for your bathroom remodel. 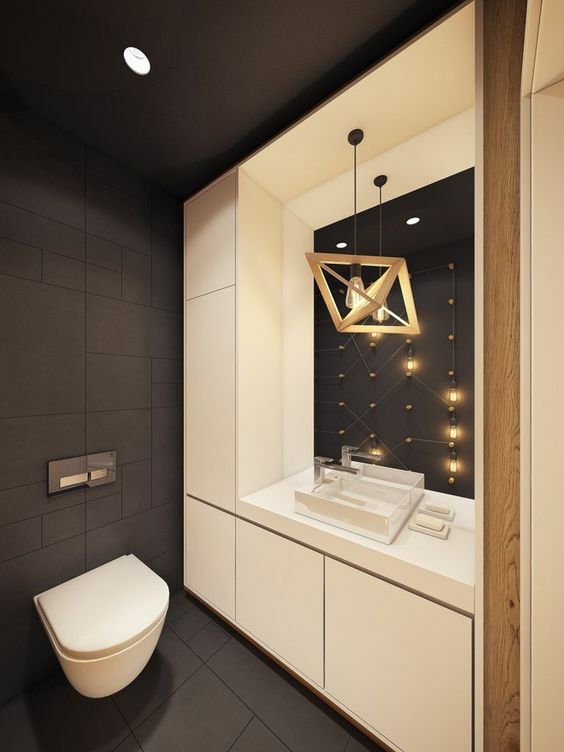 Storage is almost always a point of contention when it comes to bathroom designs. While small vanity units used to be all the rage, now large vanities are in high demand. Because your bathroom must store many different items and therefore serve multiple purposes, having adequate storage space is a necessity. 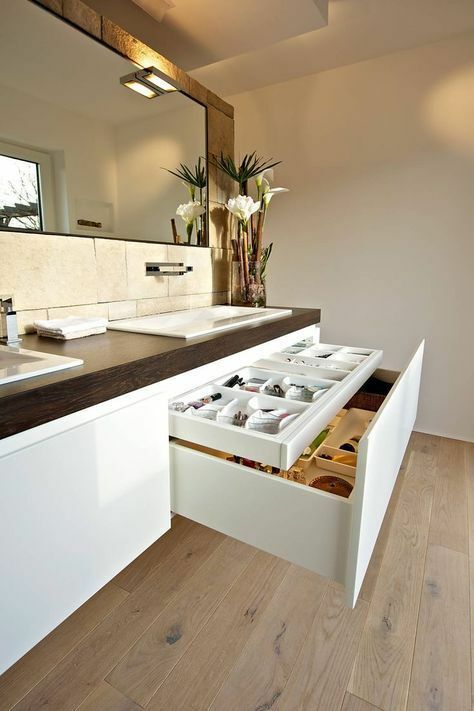 You can try installing a large vanity unit or a separate storage cupboard if your space underneath the sink is limited. A great way to give your space more room is to consider a vessel sink, which installs above the countertop. This allows for additional items such as toiletries and supplies to be stocked underneath the sink. Conversely, you may also want to consider storing certain non-essential items like towels and cleaning supplies outside of the bathroom in a separate closet. Redesigning a bathroom is a great chance to update all of your materials. Explore mosaic floor tiles, which are trendy and easy to clean, or try out a rustic vibe by incorporating wooden elements on the countertops, walls, or flooring. Don't be afraid to take risks and change things up. Your bathroom is a reflection of you and should reflect your own creativity. Incorporate color or stick to monochromatic designs... whatever you choose, make sure it's 100% you. As you remodel your bathroom, remember to have fun! Freshen up your space while making it both functionally optimal as well as aesthetically exciting. 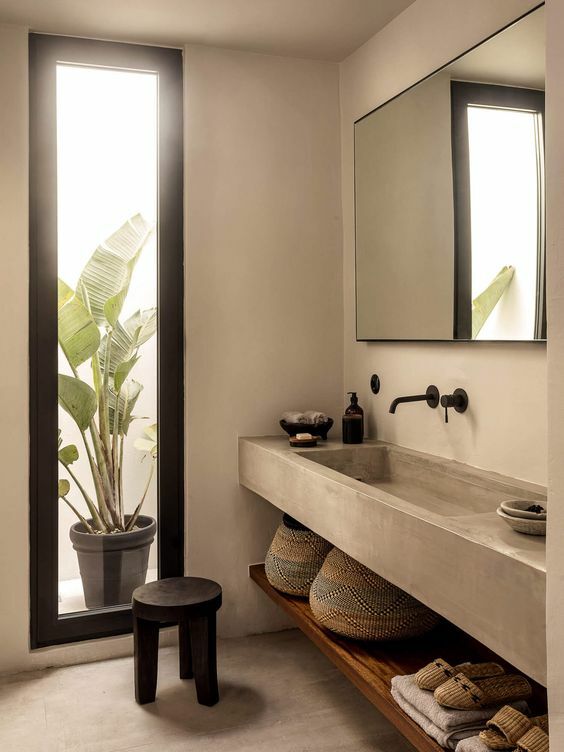 Check out some of our modern design ideas in our article on New Trends for Your Bathroom in 2019!